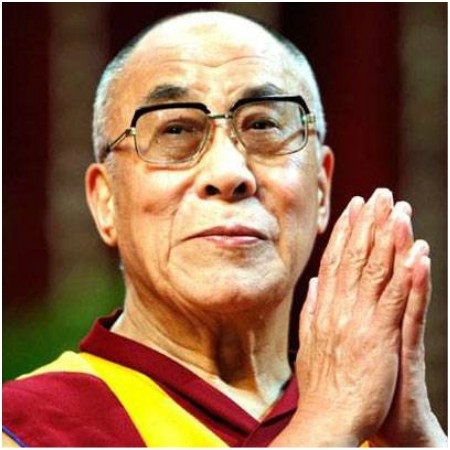 Mumbai, December 18: Love, kindness, compassion and tolerance are qualities common to all the great religions, and whether or not we follow any particular religious tradition, the benefits of love and kindness are obvious to anyone… says one of the great spiritual leaders Dalai Lama. Tibetan spiritual leader Dalai Lama on Monday said “too much centralisation of power is not good” and each person needed freedom for his creative pursuits. The Tibetan religious guru arrived in Bodhgaya on Sunday for his three-week to deliver sermons and take part in the scheduled year-end puja. He said Buddhism had been different in a manner because it would treat everyone equally.”Buddism gives the message of peace, love, compassion and brotherhood. It is based on modern science. I have been discussing it worldwide for last 30-40 years linking it with science,” said the Tibetan spiritual guru. The Dalai Lama would spend mostly at Tibetan monastery and would open a newly-built monastery. He would deliver sermons on various aspects of Buddhism including” middle path”. Gaya Police have made heavy security arrangements in and around Mahabodhi temple and Tibetan monastery following security threats.